Unify monitoring across AWS and hybrid environments. ExtraHop integrates with AWS CloudWatch, CloudTrail, and VPC Flow Logs for correlated visibility into performance issues and outages. Multisource visibility also supports security and compliance with automated, contextual alerting on security anomalies and attack patterns. Customers, click here to download the integration bundle. ExtraHop analyzes the communications passing across AWS services at up to 100 Gbps, with machine learning to help you manage and secure workloads across EC2, RDS, S3, ELB, and more. With ExtraHop providing complete visibility, real-time detection, and guided investigations in the cloud, your team can easily track performance, manage policies, and hold up your side of the shared responsibility model. Ensure compliance with real-time identity auditing and access management across AWS accounts, and rapidly detect and respond to potential security threats such as unauthorized user access to data or files. ML-driven threat detection eliminates alert fatigue, while guided investigation workflows help you shave hours or days off your time to resolve threats. ExtraHop helps you automatically scale your monitoring along with cloud workloads, including compute, storage, request brokers, and virtual networks. You can accelerate workload migration with auto-discovery of endpoints, dependency mapping, and auto-classification of workloads as well as automated alerting on resource exhaustion. With complete visibility and an analytics-first workflow, you can remove nearly all the manual effort of establishing performance benchmarks while also optimizing service delivery through complete application payload analysis. 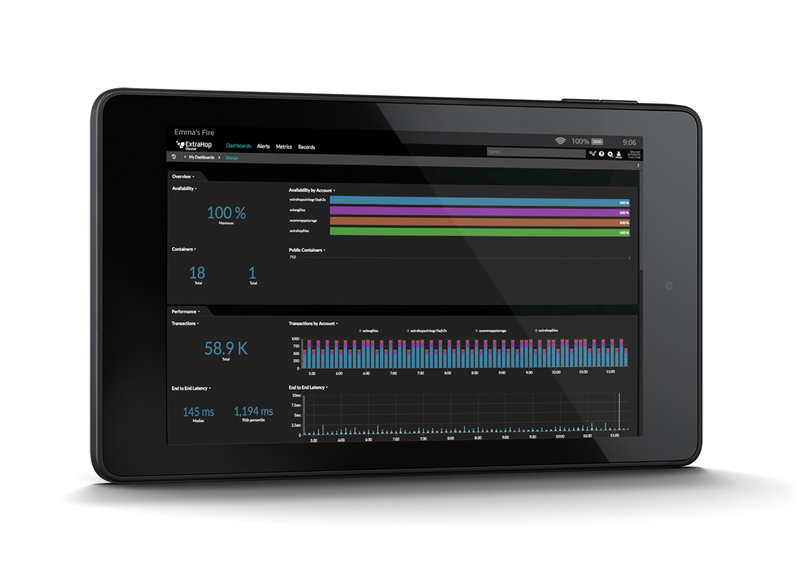 In a single UI, monitor everything from infrastructure performance to end-user experience. Plan capacity with real-time, objective data about CPU credit consumption and automated alerting on resource exhaustion. Improve performance and utilization with definitive insights into how your applications and service architectures impact AWS resources, and better control costs by monitoring bandwidth hogs. ExtraHop bridges the gap between the benefits associated with running in the cloud, and the organic loss of visibility that occurs when you outsource the physical building blocks of your environment. Watch the video to see how Practice Fusion streamlined their AWS migration with ExtraHop by ensuring the performance, availability, and security of their critical applications during and after the move.